This compact light weight rubber track mounted unit has a modular design that allows for optimal versatility, while its robust performance allows the 6712DT be a workhorse on any site. Gross Weight – 5,900 lbs. DT22 Soil Sampling for Continuous Core & Interval Soil Sampling. Macro Core – MC5 Soil Sampling for larger interval samples. Collect soil/groundwater & set vapor probes in one boring. Mast & Winch for safe/efficient deeper probing. Dedicated F550 Stake bed truck with lift gate. 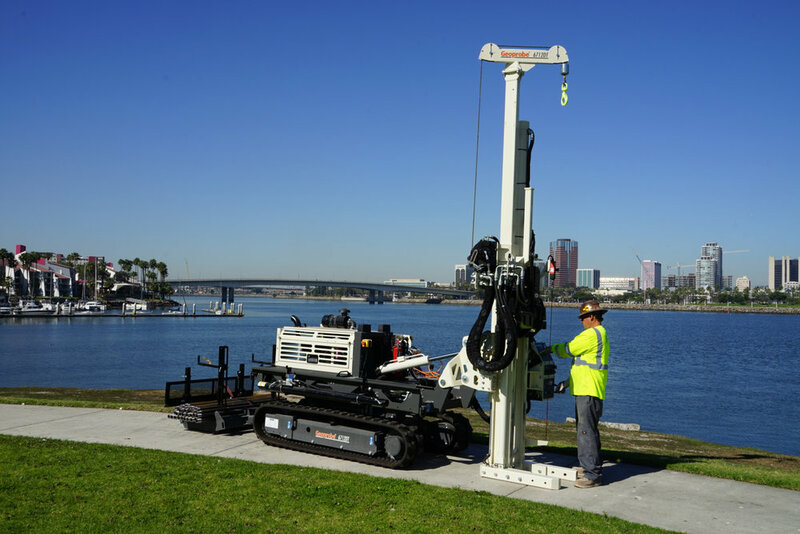 Fully self-contained concrete coring and saw-cutting capabilities. Rig splits apart into 3 components for challenging logistics. Tethered remote control for rubber tracks.